Last week SpaceX announced it would launch two tourists to skirt Earth’s satellite next year. NON-STOP VOMITING, a puffy face and the constant need to pee: Volunteers for a week-long loop around the Moon may be in for a rough ride even if all goes to plan. In the week that SpaceX announced it would launch two tourists to skirt Earth’s satellite in 2018, experts agreed the health effects would chiefly be minor and short-lived. “Like every single astronaut who goes into space, they’re going to get… very bad motion sickness,” Daniel Grant of the Centre for Altitude Space and Extreme Environment Medicine in London, told AFP. This is because the balance sensors in the inner ear which tell us which way is up and down, get all confused in zero gravity. Some astronauts get over it within hours, while others need days — clearly a problem for a trip lasting only a week. In bad news for selfie enthusiasts, another symptom is a puffy face (and thinner legs) as body fluids, pulled downward by gravity on Earth, spread out and upward in the weightless environment. This can also lead to profuse urination — tricky in an environment where everything, including liquids, float. Bones and muscles will change too, say the experts, although a week is probably too short to cause lasting weakness. Other annoyances on the journey could include unexpected claustrophobic freak-outs, and a disturbed sleep cycle which will translate into heavy jetlag back on home soil. A potentially graver, but less likely, peril is elevated cancer risk from exposure to radiation outside Earth’s protective magnetosphere. Spaceships have built-in protection against radiation, which is hundreds of times higher than on Earth. Radiation doses for a short trip like this one would be low, “but that does not mean there is no risk at all,” said Thomas Berger, a radiation biology expert at the German DLR space agency. It grows with so-called solar particle events — massive ejections of protons from the Sun which can deliver highly concentrated doses of radiation. These events, which can last two days, are unpredictable but rare. A major eruption was registered in 1972, between two Apollo missions to the Moon. None has occurred while humans were in space. If it does, spacecraft have “storm shelters”. But if humans were somehow to get caught in the blast, high exposure could cause radiation sickness leaving the travellers too ill to control their vessel. In an extreme case, they could die. The main danger to space tourists, observers agree, is spacecraft failure. “In my view, the biggest risks are technical failure on blastoff, during the voyage, or on reentry into Earth’s atmosphere,” said Martin Giard of France’s National Institute for Earth Sciences and Astronomy. “There is an overall risk of an accident… something going wrong,” added John Logdsdon, former director of the Space Policy Institute at the George Washington University. But he stressed “the technology is even better now than 45 years ago”, when we last sent humans into deep space. Up to now, said Grant, only extremely healthy people, “basically perfect humans”, have been sentto space after months of training and health checks. With space tourism, you’re going to start seeing some unhealthy people getting sent into space. If they need to be on medication or they have illnesses in the background, we don’t know how they react in space because we’ve never seen that before. For most, the payoff far outweighs the risks. Email “Puffy faces and a constant need to pee: Moon tourists may be in for a rough ride ”. 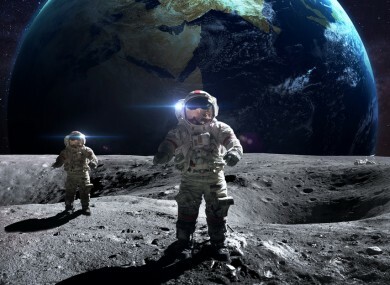 Feedback on “Puffy faces and a constant need to pee: Moon tourists may be in for a rough ride ”.